The Ultra 94 Porsche GT3 Cup Challenge Canada enters its inaugural season with Yokohama in 2016, ready to produce intense competition for semi-professional and aspiring professional drivers in the world’s most produced and iconic race car, the Porsche 911 GT3 Cup, and the new Porsche Cayman GT4 Clubsport. 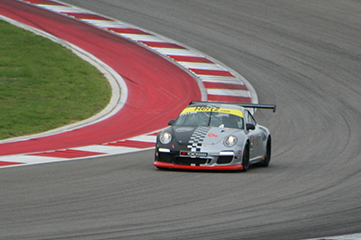 The International Motor Sports Association (IMSA)-sanctioned championship is one of 20 global Porsche single-make Cup Racing series and is the perfect platform for aspiring drivers to ascend to the highest levels of competition. 3. Silver Cup: consisting of competitors in the new Cayman GT4 Clubsport. A Masters Championship also is conducted in the Platinum class. Each class is awarded with its own podium at the end of every race and individual champion at the end of every season. Points are awarded by finish in class.